You are here: Home>People and Nature>News and Events>Get Busy for Bees! Our wild bees, butterflies and other insects play a very important role in pollinating our wild flowers, trees, fruit and vegetables. However, in recent years urban development and changes in farming mean there are fewer wildflowers and uncultivated areas leaving many of our wild pollinators struggling to find food and nesting habitat. Nearly one third of our native bee species are now in danger of becoming extinct. The All Ireland Pollinator Plan 2015 – 2020 aims to get everyone – local authorities, farmers, schools, businesses, home-owners and communities to take steps to protect our pollinators and ensure their services into the future. In support of this, a number of pollinator events have been organised in County Galway by local communities with the help of the ‘People and Nature’ – the Galway County Biodiversity Project to inform and inspire the people of Galway to get busy for bees! 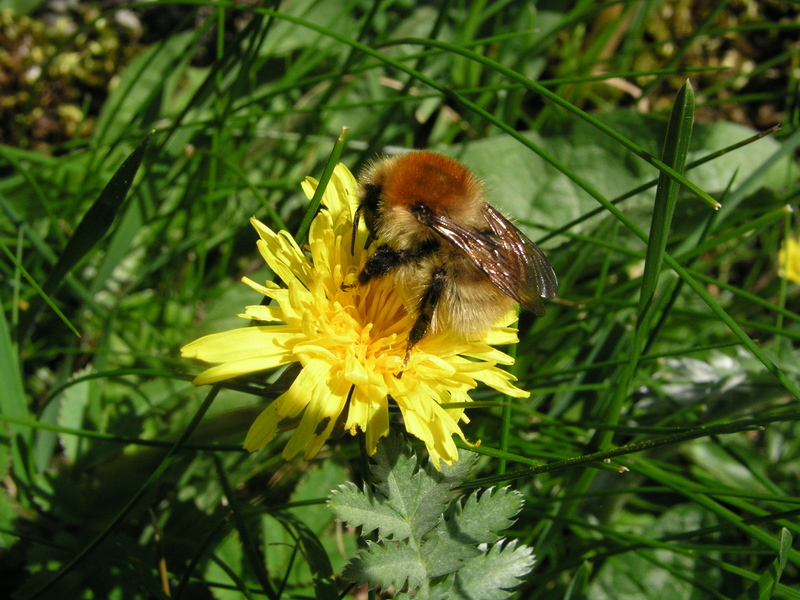 Tuam Pollinator Awareness Day – Sat 6th May 2-4pm, Palace Grounds. Information and advice on nature friendly gardening, meet the beekeepers, pollinator fun and games for kids organised by Tuam Tidy Towns. Abbey Pollinator Workshop – Sunday 7th May 3- 6pm, Community Centre, Abbey. Find out how you can help pollinators at home, meet the Galway Beekeepers, build a bug hotel, and join the ‘Pollinator Parade’ with prize for best dressed garden bugs! Organised by Oranmore Tidy Towns and Calasanctius College with the local Scouts and Conservation Volunteers Galway. An Chearthu Rua Planting for Pollinators Workshop – Saturday 3rd June, 12 noon, Halla Eanna. Join wildlife gardening specialist Kay Synnott and the Tidy Towns volunteers and learn hands on how to make a pollinator flower bed and bee nesting areas. The National Biodiversity Data Centre has produced practical guidelines to help communities and Tidy Towns groups to take action. The guidelines and other useful resources can be downloaded at (http://www.biodiversityireland.ie/projects/irish-pollinator-initiative/all-ireland-pollinator-plan/local-communities/). This page was added on 30/04/2017.